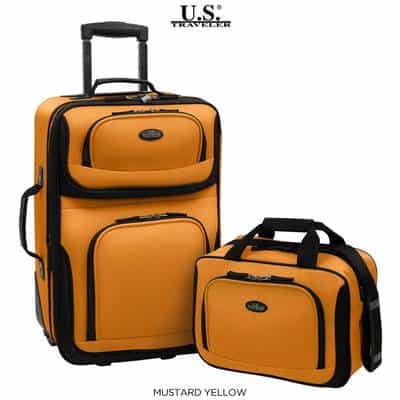 Save 73% on the U.S. Traveler 2-Piece Carry-on Luggage Set! The U.S. Traveler 2-Piece Carry-on Luggage Set with 21″ Lightweight Expandable Rollerboard Suitcase & 14” Travel Tote is on sale for $29.99 at Tanga.com right now. That's 73% off the retail price of $109.99!